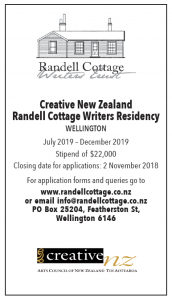 For its tenth birthday next year, Randell Cottage Writers Trust has appointed Vivienne Plumb to be the New Zealand writer who will blow the candles out. Chair of the selection panel, Vincent O’Sullivan, says he’s delighted to announce that Aucklander Vivienne Plumb will be the 21st writer to take up residence in the historic Thorndon cottage, which has hosted a NZ and a French writer every year since 2002. Plumb will take up the position in July. French author Florence Cadier starts the year off as the French writer in residence. 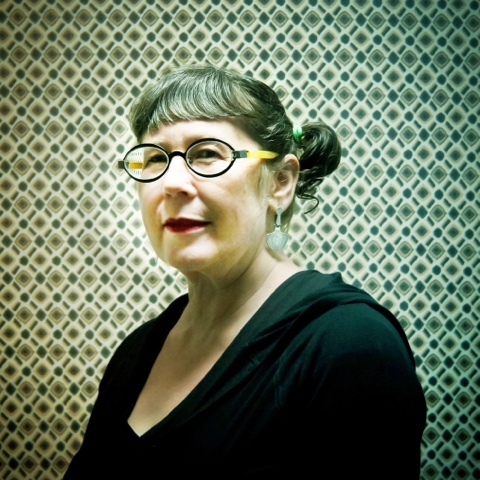 Author, poet and playwright Vivienne Plumb was born in Australia and lived in Wellington for over thirty years before heading north in 2008. She has published four collections of poetry, two chapbooks of poetry, a novella, a novel and several playscripts, and her awards include the 1993 Bruce Mason Playwriting Award for Love Knots (1994) and the Hubert Church Award for a first book of fiction for The Wife Who Spoke Japanese in her Sleep (1993). Her current project is a novel with political themes set in Wellington, which is one reason why Plumb wants to return. Plumb’s new book – just released – is a poetry chapbook published by Wellington’s Seraph Press. 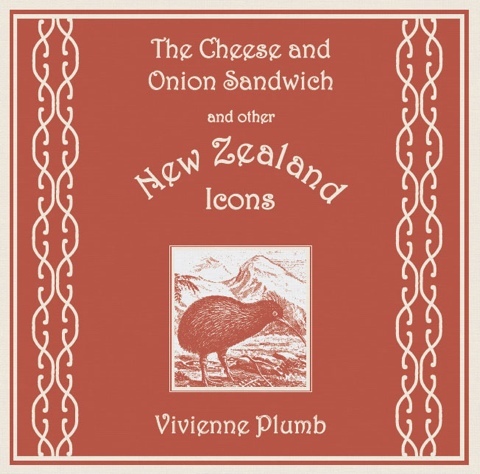 The Cheese and Onion Sandwich and Other New Zealand Icons is the size and shape of a sandwich and features prose poems about ‘iconic’ New Zealand things.